Tim Lust of the National Sorghum Producers says no one should be surprised with the impasse over the 2012 farm debate that has developed ahead of the 2012 November elections. Lust told Ron Hays of the Radio Oklahoma Network that "if you had done this radio interview a year ago, you would have predicted all of this" referring to the geographic and commodity differences in what is wanted and needed in ther 2012 farm bill- along with the difficulties in getting political interest in moving a bill just ahead of the general elections this fall. The National Sorghum Producers have added their name to the list of groups supporting the Farm Bill Now coalition, but Lust is skeptical that House leadership will step up in September and allow floor consideration of the House Ag Committee's FARRM proposal. Lust seems to be content with the idea of trying to finish the 2012 farm bill process in a lame duck session- after the November elections. He does stress the need to get it done before the end of the calendar year. The prospect of having to start over with a new Congress in 2013 is not one that Lust or many other farm group leaders want to face. Besides the Farm Bill process- we also talked with this feed grain leader about the ethanol debate- and about the prospects of the 2012 grain sorghum crop across the United States. You can hear our full conversation with Tim Lust by clicking on the Listen Bar below. To learn more about the National Sorghum Producers, click here for their website. 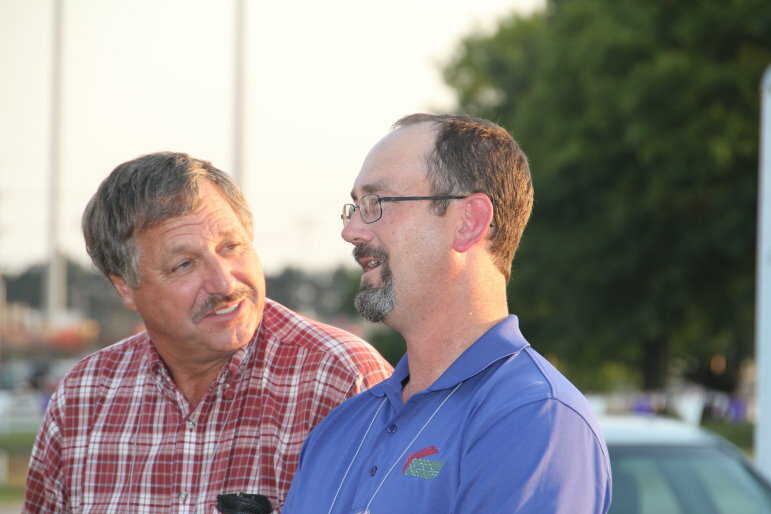 Ron Hays talks with Tim Lust of the National Sorghum Producers at the 2012 Great Plains Sorghum Conference in Manhattan, Ks.